For gamers on the PC, there was a new opportunity to get free access to games like Borderlands 2 and Borderlands: The Pre-Sequel from developers at Gearbox Software. Both games are available for free on Steam’s digital service over the weekend. 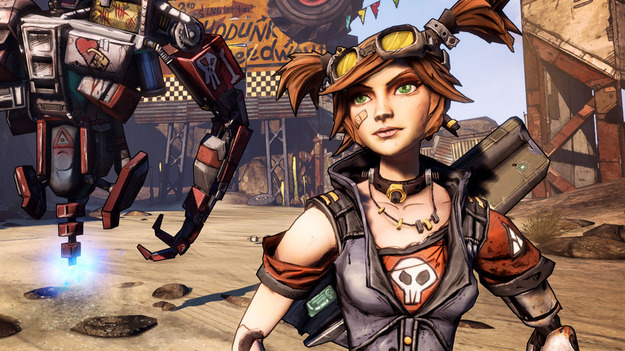 Thanks to the new promotion, gamers can play Borderlands 2 and Borderlands: The Pre-Sequel for free until April 8th. Gamers are only required to log in to the pages with these games and then click on the “Play” button. After downloading, you can proceed directly to the game of shooters. In addition, both games also have a 75 and 70 percent discount, which runs until April 10. Borderlands 2 is a post-apocalyptic role-playing shooter for four people, which takes place in the world of Pandora 5 years after the events of the first part of Borderlands. The second part offers gamers new weapons, new heroes, enemies and new locations. The main task of the game is to kill Jack and restore order on Pandora. The game Borderlands: The Pre-Sequel, in turn, is a prequel to Borderlands 2. It gives gamers the opportunity to play for 4 new characters, which in previous parts were non-game characters. In Borderlands: The Pre-Seque, on the other hand, players work for Jack, who eventually turns from a good character into a villain.